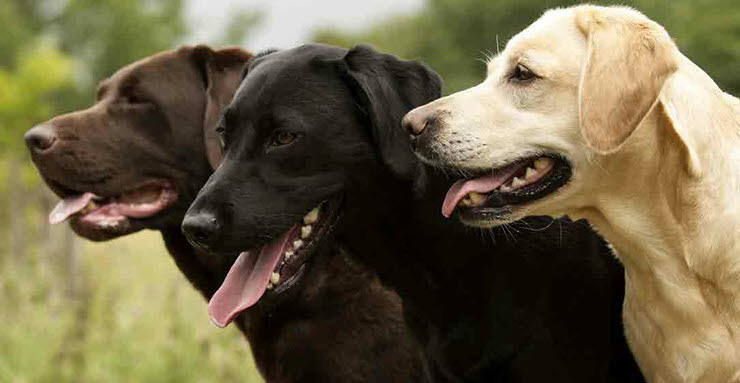 In today’s society pet dogs are often considered members of the family or ‘fur-children’ and will interact very closely with children in the family. For many people, dog bites are often only something that is heard about on the news, however, you may be surprised to hear that most dog bites take place in homes with familiar family or friends pets, and most people bitten by dogs are children under 10 years of age. All dogs have the potential to react when they’re scared or threatened. Children under the age of 10 should be supervised at all times while interacting with dogs. Children may miss signs a dog will display to indicate it is being put in a stressful situation where they feel threatened and if they are not separated could lead to the unfortunate situation where the child is bitten. Awareness and recognition of the warning signs your dog may display is key to preventing dog bites. If you notice your dog displaying any of these signs, they should be removed from the situation to avoid further escalation to the point they may snap. Research shows that education is the best way to minimise risks of dog bites. Children should be taught the correct way to interact with dogs from a young age to ensure the safety of not only themselves but of your dog. There are also a number of school-based education programs that have been making progress in dog bite prevention, including the Australian Veterinary Association's Pets and People Education Program (AVA PetPEP). Not only is it important to educate children on the correct way to behave around dogs. But dogs should also be socialised with other dogs and people from a young age. This helps them be more accustomed and better equipped to dealing with unusual situations, such as when interacting with children. Some helpful tips on dog training can be found here.